A February 1947 article on Hot Rods from Mechanix Illustrated. A December 1933 article on Modified Stock Car racing from Modern Mechanix. And an August 1950 article on Hot Rods at Bonneville from Popular Mechanics. Don't know why PM spells "mechanix" rong, er, wrong. More photos that Jim Ervin took at the 1964 Pacific International Motorama. I've left the toll free number for Old Autos on the clipping. It's still valid and is a pretty good newspaper to subscribe to. An relatively recent (1999) article by Jim Ervin, a regular contributor to Old Autos, the Ontario newspaper that tries to be national in its automotive scope. Guys like Jim definitely make it so. The original photos are in colour (!). Now those would be cool to see. The follow up to the BCTRA and LARA championship races was the ELRA super stock championships. A bunch of wrecks and rollovers but it got in the books. During the super stock main Mac Morrison rolled and caught fire. He came out okay. Other rollovers included Red Tisdale (his 101st), Hank Ruch, Clare Walsh (which race?) and Gordie Hemrich. Big winner of the most popular driver was Bill Stoneman. 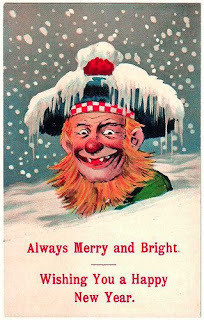 Another seasonal greasing. This one from Earl Heroux and his Aurora Stadium (Playland), 1947. The group photo is at Burnaby's Digney Speedway, opening day 1948. Ernie "Dig" Digney, Andy Digney and Earl Heroux. A 1947 seasonal greasing from Bill France, pre-NASCAR. Best way to get some coverage in the newspapers is to get some reporter to race a car. Doesn't matter that he might only be racing against other newspaper guys, they like to write about their experiences. Good publicity. No information on any racing at Langley Speedway on either September 11th or September 18th, 1966. Rain? Not sure. Nothing in all of the usual newspapers. So onto September 25, 1966, the championship races for LARA and BCTRA. The rest of this is confusing as various clubs awarded various first place finishers. Top that off with rains shortening the event. This is the best I can glean from the newspapers. I think the LARA modified drivers were mostly from Skagit Speedway. And Ray Pottinger was from Nanaimo. First time for the foreign stocks on the track. They appeared indoors at the Agrodome during the winter. Big ad for the big races during the Vancouver Exhibition. The first race noted below is from Victoria. The Foster is Phil Foster, one of a handful of Foster brothers who helped develop racing in the Victoria area. Phil's nephew was Billy Foster. There was a weekly column in the Columbian on automotive news. It lasted for a while with Neil Godin at the wheel. But, as with many things in the newspaper business, it changed. He did cover motorsport news in the column such as this piece on John Hall. NHRA hall of famer Buck Kinney did well on the drag strip for many years. An old clipping and a more recent photo of a car he campaigned for many years. Some of these novels have listings in the back for other racing fiction that could be bought. I'll get to those, my "want list". Lee Kelly's report in the Burnaby Examiner about the B.C. Custom Car Association's year end banquet. Lots of names I recognize, and even have had the good fortune to know: Keith Warren, Larry Braine, Jack Williams, amongst others. Awards and trophies, and I'm sure everyone danced their faces off at the end. Seems like this weekend the early-late flatheads and overheads got sorted out to be early-lates and super stocks. The lack of A and B modifieds probably was due to the big Daffodil Cup race at Western Speedway in Victoria over the long weekend. The problems with VITRA and Western mirrored some of the same problems that the BCTRA had with Langley. And everything had been sorted out for this weekend. The big races got run. The beneficiary of the aggro at both tracks was Nanaimo's Grandview Bowl. I'll have to chronicle the modified races held there over the summer of 1966 at some point. I do like the midgets. This is Palmer Crowell in the Gordon Reelie Weldco number 75. Looks like it still had the Ford V8-60 in it for power. By 1968 Gordon had another midget built (number 12) with an Offy for power. The team eventually won the Washington Midget Racing Association title. This video was posted on YouTube recently. Looks to be pre-World War Two at Southern Ascot Speedway in the Los Angeles area. The guy with the red helmet is probably Eddie Haddad. I think I hear the name of Roy Russing mentioned (yellow midget) as well as Swede Lindskog (at least I hear the name "Swede") when the guy with the white helmet with the center stripe is on screen. Swede Lindskog was a big deal up north in the Seattle area before heading south to race in California. He ran both big cars and midgets and was a hero at Victoria's Langford Speedway and Vancouver's Con Jones Park. Sadly he lost his life in 1946 while qualifying a midget down in California. 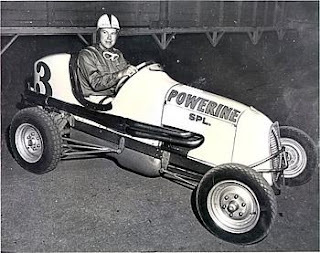 The photo comes from an Australian site that features a few cool bits of information about Pacific northwest midget racing from Methanol Mel Anthony. More Saturdays, more fiction, especially in the winter. I've yet to get to these but, as I've read, what's the point of having a library of books you've already read? I don't do enough on power boat racing. It was quite popular in the Greater Vancouver area from the 1930s to the mid-1970s. Probably the logistics of holding races have curtailed the sport. In years gone by races were held at Harrison Lake, Hatzic Lake, Alouette Lake, Cultus Lake and the Pitt and Fraser Rivers. Even off Semiahmoo Beach in White Rock and English Bay in Vancouver. No doubt many other places as well. Bill Allan was solid performer on the water winning a few American Power Boat Association championships in the various classes he ran in. Unfortunately he passed away a couple years ago. Two days of racing for the Labour Day long weekend. Terry Hofoss of Surrey won his second 125 cc motocross championship back in 1981. Second part of the 1920 story. There's probably some, if not a lot of overlap here. I've already done the International Motor Contest Association's adventures in western Canada from this time frame. But what's a little redundancy amongst nutbars? --event no. 5--novelty race for commercial travellers--1st, Ernest Bulmer; 2nd, Norman Lindsay--time, 1:20--Henderson drove the winner. Two guys who have made it to the Canadian Motorsport Hall of Fame: Tom Burgess and Taisto Heinonen. Both from the west coast.